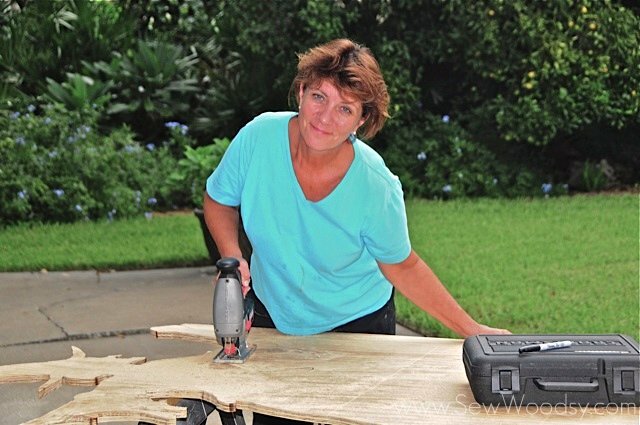 meet Mr. Woodsy’s mom, Linda! 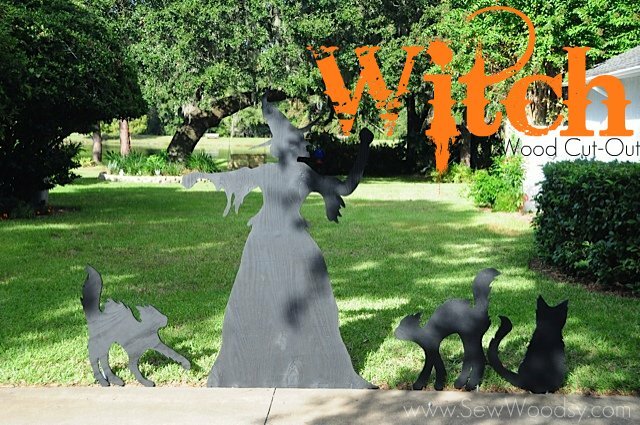 My mother in-law made the infamous wood witch cut-out a few weekend’s ago and wanted to share with the readers of Sew Woodsy! Pictures taken by Mr. Woodsy dad, Frank whom we’ve dubbed PAPA-razzi because he loves to take photos (he takes some awesome photos and was the one who took our photos for our “About Us” section). 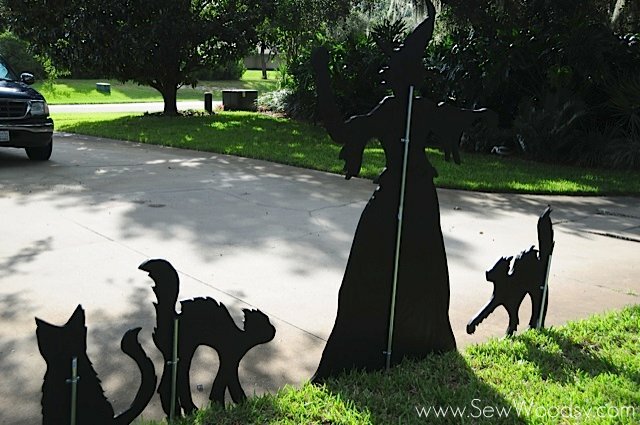 Print out the full-size witch template and the 25 to 30 inch templates for cats. These will print out in sections known as tileing you’ll want to tape them together. 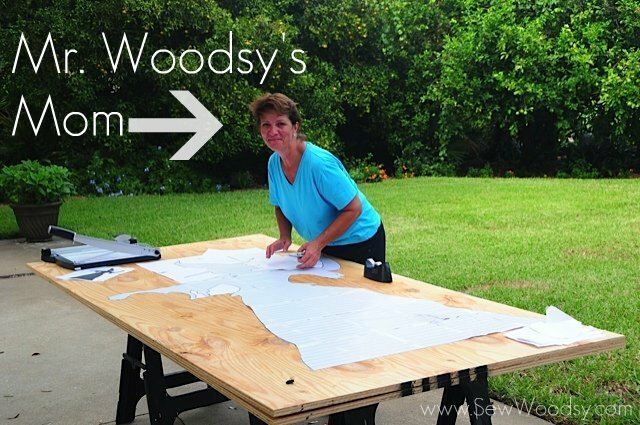 Cut out and affix to plywood with repositionable spray adhesive. Using a jigsaw, carefully cut out witch and cat designs. 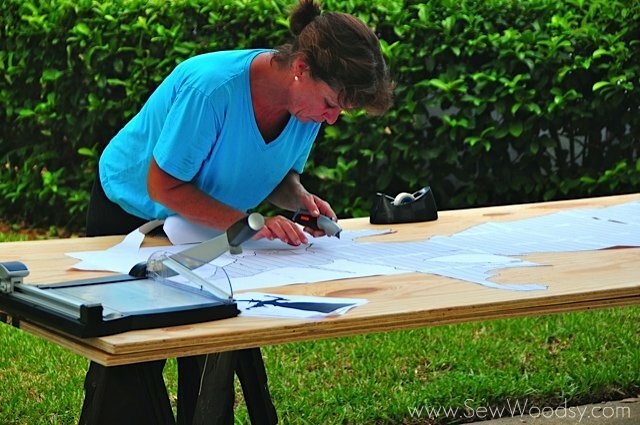 Because of the intricate cuts be prepared for this to take a little bit of time. Now enjoy your witch and cat cut-outs! 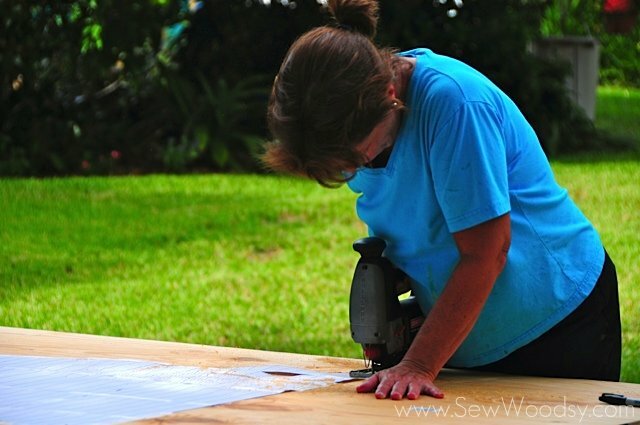 Do you make these for sale? Hi Chris, thank you for your inquiry. I typically don’t; however, sometimes I make an exception. If you’d like you can email me at sewwoodsy@gmail.com to discuss purchasing a pillow.